Interview with Chris Wyse-Bassist of The Cult and Frontman of Owl! – Noize is photography, music and culture inspired by Michigan. Interview with Chris Wyse-Bassist of The Cult and Frontman of Owl! Interview with Chris Wyse-Bassist of The Cult and Frontman of Owl! 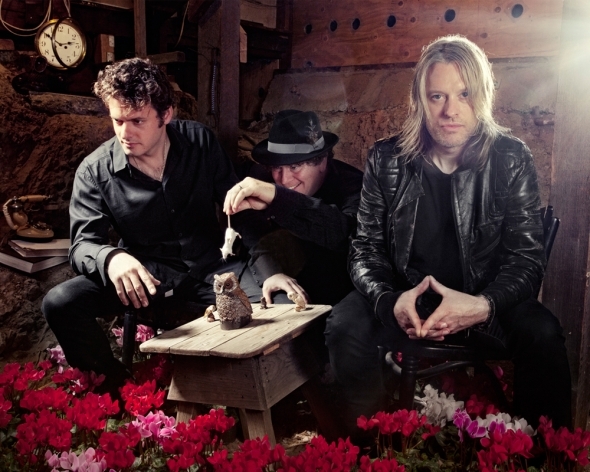 Interview with Chris Wyse-Bassist of The Cult and Frontman of Owl! Chris Wyse, bass player of The Cult and frontman of rock band, Owl, will hit the road on The Cult’s Electric 13 tour kicking off on July 25th in San Diego. The Cult plays this Thursday at The Detroit Fillmore. Wyse joined The Cult in 2006 and played bass on the band’s comeback album Beyond Good and Evil in 2001. Owl’s sophomore album The Right Thing was released on April 9th. On the Electric 13 tour, The Cult will play their 1987 Rick Rubin-produced landmark album Electric in its entirety for the first time. Each tour stop will feature a first set of the platinum-selling Electric boasting standouts like ‘Love Removal Machine,’ ‘Wild Flower’ and ‘Lil’ Devil’ and a second set highlighting The Cult’s 30-year catalogue of hits. 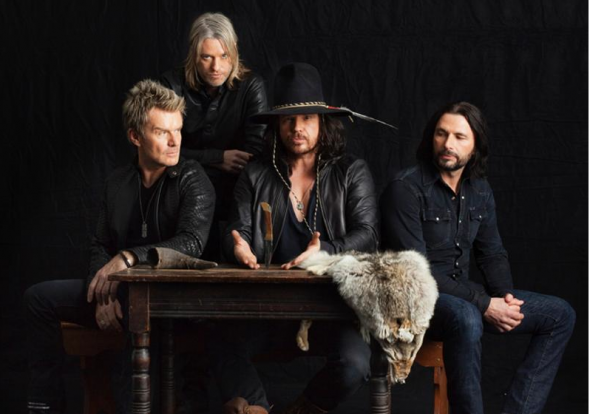 The Cult is set to release new material in 2014 to follow-up to their 2012 album Weapon of Choice, and a double album called Electric Peace is due out July 30th. We also got the chance to have a Q & A session with Chris and catch up on the latest news for both The Cult and Owl. Noize-How is your tour going with the cult? Any good stories? CW-The tour is going great and we are playing another sold out show tonight in Minneapolis. Ian got pretty bloody one night when the tambourine hit his head and cut him. It was a bloody mess and looked crazy, but thankfully he was fine. Noize-Phew! We are excited to have you in Detroit this week. What are your favorite random things about Detroit? Fave thing about playing in Detroit? CW-I think the Detroit Opera House is pretty amazing and I dig the Fillmore there. Detroit has some of the best rock crowds in the world and is always a favorite. Noize-Last year The Cult was in a pretty horrific accident while touring in Europe…Was it difficult to get back on the bus after that? CW– It was indeed. We all sort of had our own realization that we were lucky to have made it. It was like slow motion when it happened. I had a reoccurring dream about a bus crash over and over before it happened. I knew it was coming. One late night I was having cereal and tea and having a hard time sleeping. I looked out the window in Croatia and said “Oh man this is the dream’! Something told me to go upstairs in the huge double decker bus and get in my bunk. Lucky I did because we hit a guard rail on a 100 foot drop then went into a tail spin once we crossed the bridge. Everyone was fine and in there bunks. Ian was standing and got bruised a bit but amazingly we were all fine. It was terrifying to be awake and know what was up as it was happening. Noize-What do you love and dislike about touring? CW-I love playing live and meeting people and connecting. The lack of sleep and crazy traveling I could live without but it is what it takes to tour, so you take both sides. Noize-I read that The Cult plans to work on new material very soon. What direction would you like to see the group head in? CW-I think we were onto something special with “Choice of Weapon” and the chemistry of this band is strong live and in the studio. I feel the band has many interesting places to go still like a Zeppelin/ Doors. Maybe I will get some bowed upright sounds in there too. Noize-Please tell us more about your band The Owl and the album THE RIGHT THING…What are your aspirations for this new-ish group? CW-Well the whole experience has been very rewarding. It has been a great first half of the year with OWL. Getting featured in press like Rolling Stone, Revolver, and many others has been amazing and a surprise. We sold out shows in NY and LA. Kids lined up for the merch and we’d sell out. It’s a real treat to play with my long time friend Dan Dinsmore on drums. It’s a risk-taking band that is deferent and there really was no band like it until we formed OWL. We are here to take you on a new musical journey and be innovative. I’m looking forward to opening for some band and doing a proper USA tour and more new music. Noize-What made you want to be a front man? Were you nervous about the change or was it a natural progression? This entry was posted on Wednesday, August 7th, 2013 at 7:16 PM. It is filed under Featured Stories, Interviews. You can follow any responses to this entry through the RSS 2.0 feed.